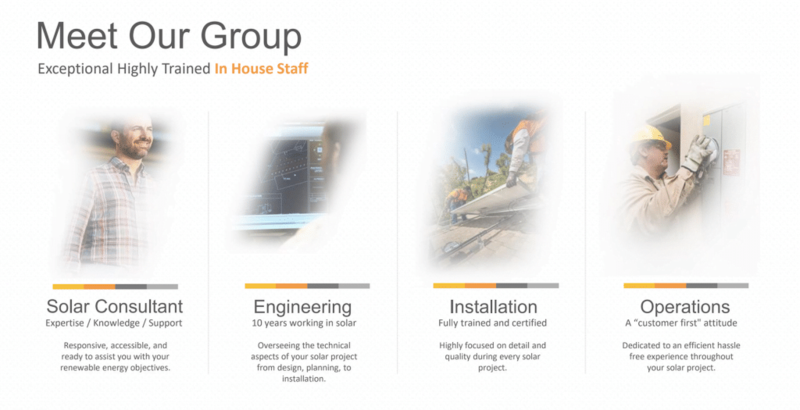 LA Solar Group was started by engineers wanting to provide customers with the latest technology and engineering design, exceptional installation and support for the lowest possible price and the fastest return on their investment. We pride ourselves on the quality of our equipment, design, installation, and service. We have highly-trained specialized staff that is the best at each step of the solar design and installation process. LA Solar Group has quickly become one of the top solar companies in the United States, while not losing track of every customer’s unique needs and desire to have the perfect system. With our core values of integrity, expertise, and passion for what we do, we strive to make solar accessible, affordable and understandable to our customers. While keeping the customer first, we have a mission to be a positive change in the world by making quality solar available to everyone. We believe… In guiding people to smart sustainability! We believe… In leading by example! We believe… Everyone deserves freedom! We believe… We are in it together!